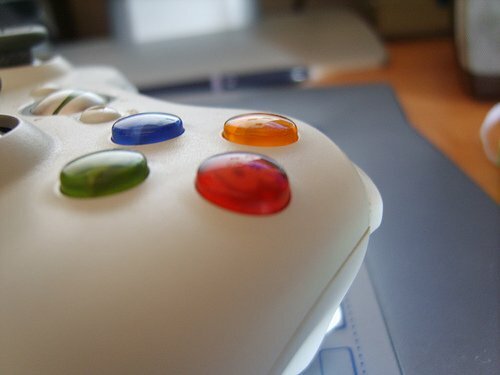 Electronics Costs > How Much Does an Xbox 360 Cost? How Much Does an Xbox 360 Cost? The X-Box 360 is a game system made by Microsoft. How much does a Xbox 360 cost? On average, the Xbox 360 cost will be anywhere from $80 to as much as $250 depending on the model purchased. The first edition, which isn’t sold new anymore, will cost about $60 to $75 used. The basic Xbox 360 will cost about $170. This console has a fairly small memory – only 4 GB. A 250GB Xbox 360 will cost about $250. A 4GB Xbox 360 with Kinect, a motion sensor system which makes gameplay more realistic, will cost about $300. A 250GB Xbox 360 with Kinect will cost about $400. The Kinect sensor system itself will cost about $130. When purchasing an Xbox 360, you will also receive all the hardware, software, cords, and manuals necessary for set-up. If a bundle, such as the Kinect or game bundle, is purchased, it will come included with the package. One controller will usually come with a new purchase. Many times a trial subscription to Xbox Live, which gives the player the option of playing online against other players, is included with purchase. The console can either come in black or a matte white. Various hard drive capacities include options at 20, 60, 120, 250 or 320GB. The largest cost of the X-box 360 is the games. Each game for the 360 can cost $20 to $60, with an average price of $40. This will all depend on the type of game purchased. In order to continue playing games online, a subscription to X-Box Live must be purchased. This will cost about $50 per year. There are many accessories that can be purchased for the 360, such as extra controllers (wired or wireless), rechargeable batteries, webcam, dance mats and headsets. Controllers will cost about $40, while a rechargeable battery can cost $20 to $30. For those who tend to play a lot of games as well as have a lot of downloads and saves, an additional hard drive is necessary to ensure the adequate amount of space is there. While the 4GB hard drive may sound like a lot of space, space can fill up quick for those who play a lot. Older style Xbox consoles are going to need a wireless adapter if you want to connect to a wireless network. While the console can be connected via a hard-wired connection, this device can cost upwards of $100. Most of the newer models will already have a wireless network built directly into the console. While optional, some players opt to purchase customized skins for their console. These skins will wrap around the machine, allowing the console to have a unique customizable look. These skins will usually start at $20. The problem with many Xbox consoles is that they tend to have a lot of problems. If you’re planning on playing the console a lot, it may be a good idea to purchase an extended warranty. That way, if a problem does exist outside of the warranty redemption period, you will be covered. The Xbox officially launched in 2006 and cost $399.99 for the premium 20GB unit. In 2007, the Elite 120GB version retailed for $479.99. By 2013, the last version — the Xbxo 360 E 4GB — retailed for $199.99. Money can be saved by watching for bundle deals, such as a free game or free accessories with purchase of an X-Box 360. Watch your local ads to find good bundle deals. Refurbished 360s can be purchased through websites/stores such as Best Buy and through services such as Amazon.